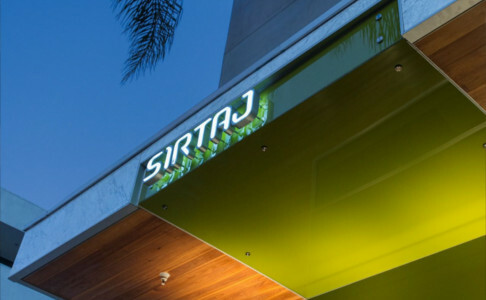 SIRTAJ Hotel Beverly Hills is a 32-room boutique hotel in the heart of Beverly Hills and located 2 blocks from the world famous Rodeo Drive. Modern and sleek with a hint of the East, SIRTAJ exudes warmth and hospitality. Upon arrival are guests are welcomed with a beverage and high speed WiFi throughout the hotel. Our Front Desk / Concierge Service is available 24 hours with dedicated agents to assist in booking tours, car rentals, and reservations. With our 24 hour valet parking service guests are permitted unlimited entry and exit privileges at an overnight fee. SIRTAJ Hotel is an ADA compliant hotel. Our ADA rooms come with a king bed. Due to the limited number of rooms, please contact the hotel directly at 310-248-2402 to book.